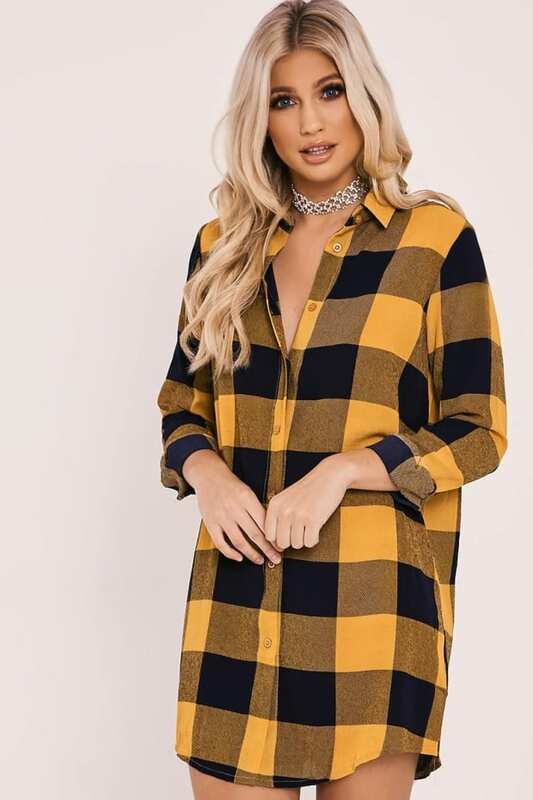 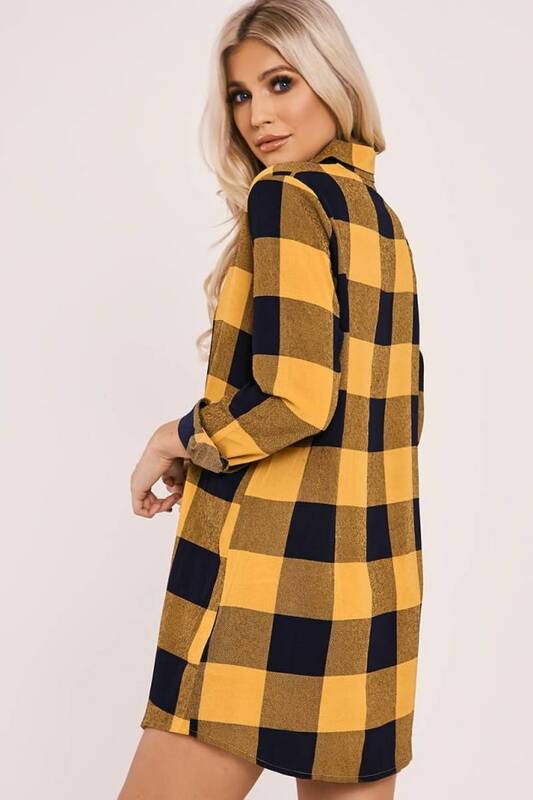 Get your new season wardrobe in check with this mustard dress! 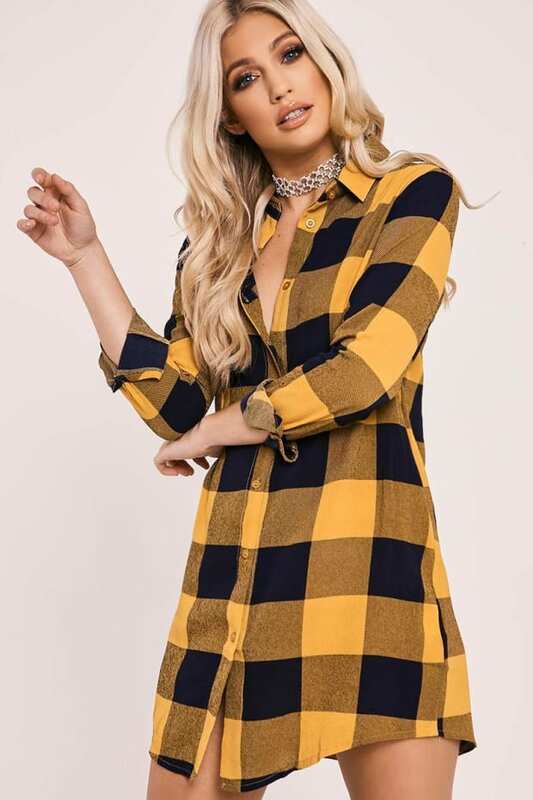 In a sassy checked print featured button down front and mini length, this is an everyday essential to keep you lookin like a total babe! 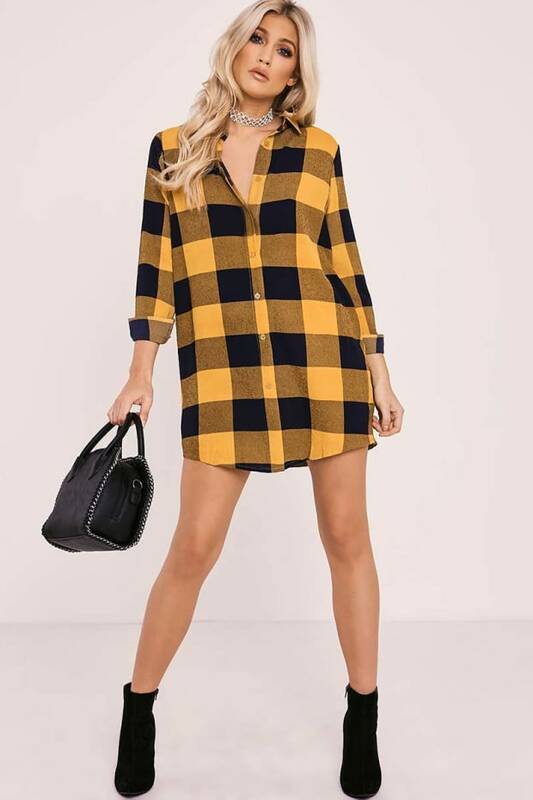 Team it up with ankle boots for a standout daytime look.